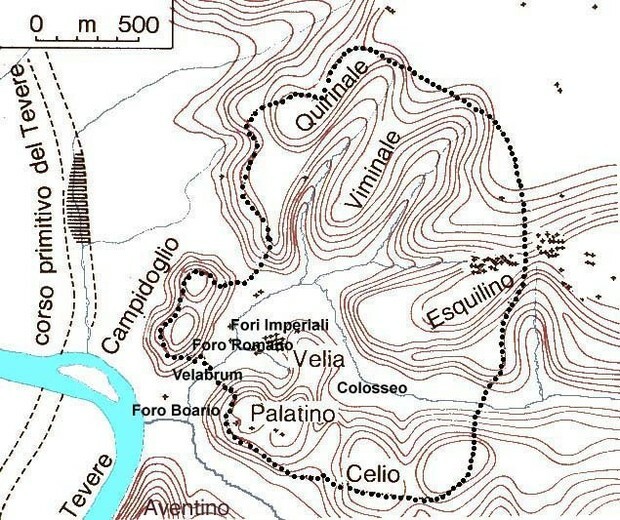 1) The Seven Hills names are Quirinal, Viminal, Caelian, Esquiline, Aventine, Capitoline and the Palatine. Palatine (located just south of the Campus Martius), where several emperors built their palaces; the Capitoline (actually two hills with a depression between), on which rose several versions of the Temple of Jupiter, heart of the Roman state religion; the Quirinal (beside the Campus Martius), where Diocletian and Constantine built large-scale baths; the Caelian (in the southeast), site of a number of military camps; the Aventine (in the south), mostly a residential area featuring apartment blocks and townhouses; the Viminal (near the Quirinal), where the urban cohorts and Praetorian Guard were based; and the Esquilme (beside the Viminal), which featured extensive gardens, as well as the baths of Titus and Trajan. Capitolium Hill, site of the mythical city of Saturnia, founded by God of Saturn, is the eternal heart of Rome. There is even an alter at the foot of the hill dedicated to Saturn that dates back to 1300B.C. Was origionally called Mons Tarpeuis after Tarpeia, protectress of hills, of but after her betrayal to her people, the name was only attributed to the southside precipice where the wickedest criminals and tyrants were thrown to their death (the Tarpeian rock). Known for Temple of Jupiter Capitolinus, Temples of Jupiter Feretrius and Fides Publica Populi Romani, Tabularium, equestrian statue of Marcus Aurelius, Mamertine Prison, Temple of Concordia, and others. The hill has a strong link to Roman mythology. It is believed that on Palatine Hill, the twins Romulus and Remus were found in the Lupercal Cave by their four-legged shepherd mother, who raised them. Ultimately, this is where Romulus decided to build the city. Therefore, it was on this hill that the Roman Empire began. During the Republican Era, Palatine was the fashionable place to live, due partly to the amazing views on the top of the hill, which stretches to a height of about seventy meters (230 feet) above the city. It was also believed - and accurately so, according to historians - that the air was cleaner atop the hill and that those who lived on it were less likely to catch the diseases of the working class that festered in the bad air below. Augustus, Cicero, and Marc Antony (Marcus Antonius) all had homes on the hill. Later, emperors built their domains here and, at one point, the entire hill was covered with imperial palaces. The hill became synonymous with palaces; in fact in many languages, including English, the word 'palace' is derived from 'palatine'. Today the Capitoline hill still symbolizes the heart of Rome and it is the perfect starting point for a visit of the Eternal City. Excavations of the hill have uncovered traces of a settlement that was built here in the Iron Age. The hill was an ideal site for the early settlers since it was situated right near a ford across the Tiber and its steep rocky slopes provided a natural protection against enemies. The hill had two summits: the Arx to the north and the lower but larger Capitolium to the south. The area in between was called the Asylum. It was a place where refugees from other states could find shelter. Tarpeian Rock: According to legend the Tarpeian Rock, situated just south of the Temple of Jupiter, was named after a Roman woman called Tarpeia, who helped the Sabines conquer the Capitoline Hill during the reign of Romulus, the legendary founder of Rome. Tarpeia was promised jewelry for her treason but the Sabines instead crushed here between their shields. From then on traitors of Rome were thrown from this rock. Temple of Juno Moneta: The north summit, the Arx, was long the site of Rome's fortress. In 344-343 BC a temple was built here on the order of the city's military leader Marcus Furius Camillus. The temple was dedicated to the goddess Juno. There are several legends that explain the name Moneta, which is possibly derived from the Latin word monere, meaning warn or advise. According to one version people heard voices from the temple that warned them of an earthquake. Another version tells us the name stems from the geese that warned Camillus when Gauls tried to capture the Capitoline Hill. Tabularium: Housed the state archives, was built between the Temple of Jupiter and the Temple of Juno. It was a large building with several colonnaded stories that looked out over the Forum Romanum. From the Forum you can still clearly see the remains of the lower floor of the Tabularium, now situated below the Palazzo Senatorio. 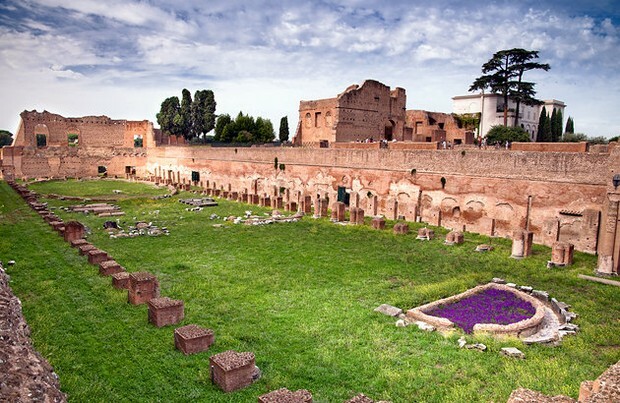 The Capitoline Hill and the Palatine Hill are still used today for tours. Ancient Rome: Monuments past and Present. United States: J PAUL GETTY TRUST PUBNS (CA), 2000. Print. Arches of Tabularium. Digital image. A View on Cities. N.p., n.d. Web. 6 May 2015. "Capitoline Hill." , Rome. N.p., n.d. Web. 06 May 2015. Carpiceci, Alberto Carlo. 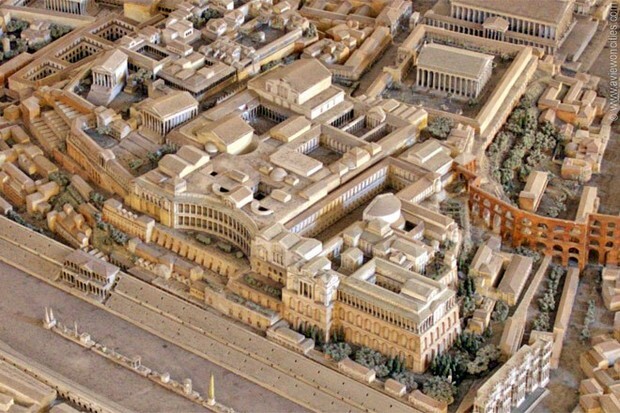 Rome 2000 Years Ago. Firenze: Bonechi-Edizioni "Il Tourismo", 1981. Print. Nardo, Don. "Seven Hills of Rome." The Greenhaven Encyclopedia of Ancient Rome. San Diego: Greenhaven, 2002. 96. World History in Context. Web. 4 May 2015. <http://ic.galegroup.com/ic/whic/ReferenceDetailsPage/ReferenceDetailsWindow?failOverType=&query=&prodId=WHIC&windowstate=normal&contentModules=&display-query=&mode=view&displayGroupName=Reference&limiter=&currPage=&disableHighlighting=false&displayGroups=&sortBy=&search_within_results=&p=WHIC:UHIC&action=e&catId=&activityType=&scanId=&documentId=GALE|CX3028100348&source=Bookmark&u=va_s_128_0610&jsid=08ca920cb2e3bb716e7d6dd652d8e6cd>. "Palatine Hill." , Rome. N.p., n.d. Web. 06 May 2015. Palatine in Imperial Times. Digital image. A View on Cities. N.p., n.d. Web. 6 May 2015. Pavilions at the Farnese Gardens. Digital image. Aviewoncities, n.d. Web. 06 May 2015. "Rome Picnics." The New York Times 13 Nov. 1988: n. pag. World History in Context. Web. 4 May 2015. <http://ic.galegroup.com/ic/whic/NewsDetailsPage/NewsDetailsWindow?failOverType=&query=&prodId=WHIC&windowstate=normal&contentModules=&display-query=&mode=view&displayGroupName=News&limiter=&currPage=&disableHighlighting=false&displayGroups=&sortBy=&search_within_results=&p=WHIC:UHIC&action=e&catId=&activityType=&scanId=&documentId=GALE|A175996417&source=Bookmark&u=va_s_128_0610&jsid=94afba9043d34797ae069c0b5cb6d5e0>.